Keeping up with new technology can be challenging. As soon as you think you’re up to date, things change, leaving you scrambling to learn more. For those in the accounting field, robotic process automation (RPA) is now a must-have tool, used by teams across the world. But making the switch to newer technology can be daunting at first. Fortunately, transitioning to RPA isn’t as difficult as some professionals assume. Here are four steps to help make the move easier. Any automation tool you use will follow your existing processes. For that reason, your first step should be to detail the workflow for each of your team’s tasks. Map the flow of an invoice from the time it enters your organization, for instance, including approvals and payments. If you can hand over documentation to the automation solutions provider, you’ll save time and be more likely to avoid repeat bouts of changes after the fact. Make sure you talk to each of your AP team members as you develop this workflow, since they may have valuable input. 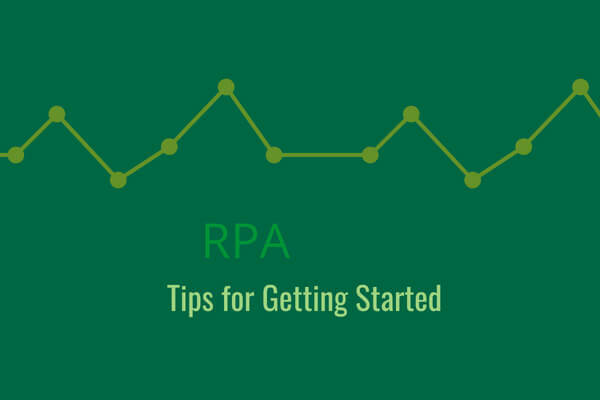 Although your RPA solution will likely include a project manager, you should also have at least one person on your own team tasked with overseeing things on your end. This person will serve as a liaison, making sure your needs are communicated to the solutions provider while also bringing back any important information. This liaison will also be able to help oversee the transition, ensuring team members are properly trained and happy with the new system. With so many options on the market, it can be difficult to know which software to choose. Before making that commitment, spend time researching what each provider offers. Will the software be able to handle your processes? Will help be provided during the transition? What will customer service be offered after the fact? By clarifying these things up front, you’ll be able to make an informed decision when you’re in the position to negotiate options and prices. After you’ve committed, you may find it’s more difficult to ask for special features or enhancements that will help you better serve your own customers. Long before your software is in use, you should be planning for the transition. Make sure you give your team time to learn the new system. This may mean scheduling the rollout for your least busy time of the year or training one team member at a time so that everyone else can cover the workload. If clients will be affected by the change, make sure you have a plan in place to let them know in advance, as well. RPA can transform your business, allowing you to work more efficiently without increasing your resources. As with any upgrade, though, it’s important to plan carefully, since that can help you avoid costly errors. If you work with a provider that puts customers first, you’ll find that they give you advice that makes sure you’re prepared in advance for each stage of the upgrade.